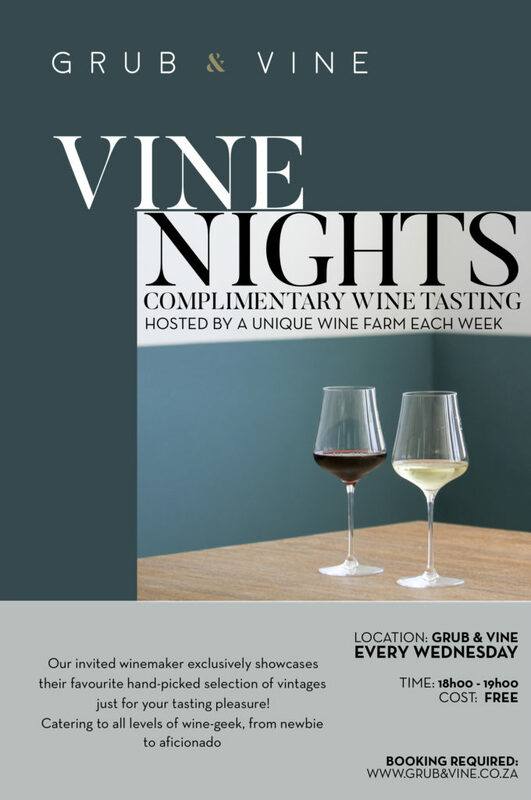 #VineNight is a weekly complimentary wine tasting, hosted by a different wine farm every week in Grub & Vine's private dining room. - Our hosting winemaker or rep will handpick a couple of their favourite vintages for you to enjoy, while throwing in a bit of Vine 101 suitable for all levels of wine geek; from newbie to aficionado. Only 24 seats per Vine Night event. Bookings done via our Dineplan Calendar.